https://i1268.photobucket.com/albums/jj572/alice2699/headband/_DSC0016_zpsihyy85iv.jpg https://i1268.photobucket.com/albums/jj572/alice2699/headband/_DSC0019_zpsij6bxmjj.jpg https://i1268.photobucket.com/albums/jj572/alice2699/headband/_DSC0015_zpsakarhs11.jpg ▲Strictly choose pure cotton material, plus indigo blue dyeing technique, simple hand feeling, as if with fresh totem, in the fresh forest https://i1268.photobucket.com/albums/jj572/alice2699/cution/_DSC0404_zpsirdzn3ac.jpg https://i1268.photobucket.com/albums/jj572/alice2699/cution/_DSC0371_zps2rbr7thg.jpg https://i1268.photobucket.com/albums/jj572/alice2699/cution/_DSC0102_zpseezqdze5.jpg ▲ Khadi fabric is known as the “Fabric of Freedom” in India. In order to get rid of the British-controlled Indian fabric market, Gandhi called on Indians to take off their foreign clothes and wear khadi (indian traditional hand-woven cloth). Support independent sports. The people began to textile, weave, wear clothes on the ground, and made their own clothes, and thus gradually became independent! Khadi in India is therefore not just a fabric, but also a spirit of independent movement. Khadi is characterized by hand-woven and hand-woven, comfortable texture, looks delicate and delicate, durable and durable, and Khadi fabric can make 500 yarns. This high-yarn yarn can not be produced by machines, soft and breathable. The touch is comparable to the silk! https://i1268.photobucket.com/albums/jj572/alice2699/headband/_DSC0014_zpsy69f1bvr.jpg ▲ unique embroidery fabric, simple and good match https://i1268.photobucket.com/albums/jj572/alice2699/headband/_DSC0017_zpseggkkecj.jpg ▲ easy to wear elastic band design https://i1268.photobucket.com/albums/jj572/alice2699/headband/_DSC0018_zpssnt6v1kj.jpg ▲ Different styles are interpreted regardless of long hair or short hair https://i1268.photobucket.com/albums/jj572/alice2699/headband/_DSC0037_zpsb0stmcgx.jpg https://i1268.photobucket.com/albums/jj572/alice2699/headband/_DSC0038_zpsa5k1cfjt.jpg https://i1268.photobucket.com/albums/jj572/alice2699/headband/_DSC0039_zpsm4bishgo.jpg ▲ Wear a cute blue hair band to travel to the world! It is also a creative gift for gifts! https://i1268.photobucket.com/albums/jj572/alice2699/box/_DSC0589_zpst48onmsh.jpg ▲ Attach the handle carton packaging, so that you can send gifts is also very convenient https://lh4.googleusercontent.com/-LIfaTgV81Js/UeMLxgWqF0I/AAAAAAAAAF0/fpU3olIeDQA/s800/%25E6%259C%25AA%25E5%2591%25BD%25E5%2590%258D-1.jpg ►Accessories are the best supporting role for travel, Because I love to travel, I want to convey this simple happiness to everyone. Traveling is the most comfortable lifestyle. Put on the hair band, Occasionally live a little hippie life! 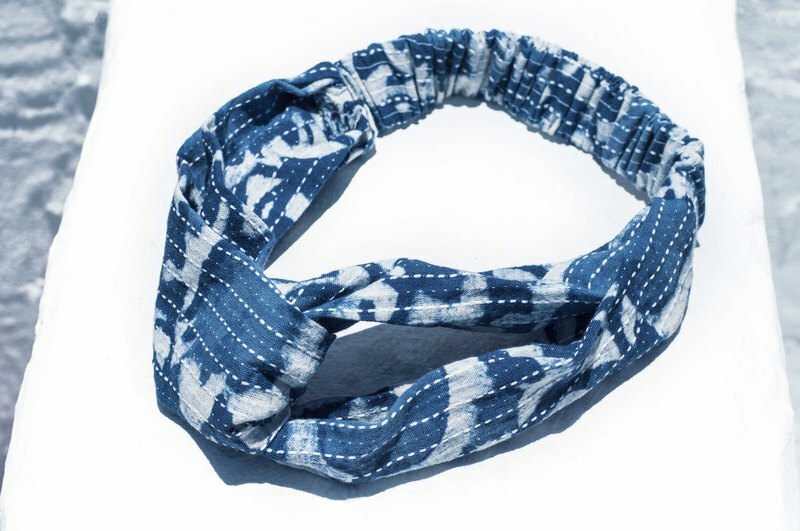 ▲Material: Blue dyed cotton embroidery cloth ▲ cleaning method Washable, it is recommended to wash by hand and dry. Due to plant dyeing, the initial cleaning may be slightly faded, which is normal.